The factory-farmed turkey that may come to the mind of some Americans is freakish: Over-engineered for decades, shot up with antibiotics and with so much breast meat it can't walk. A better bird isn't hard to find. 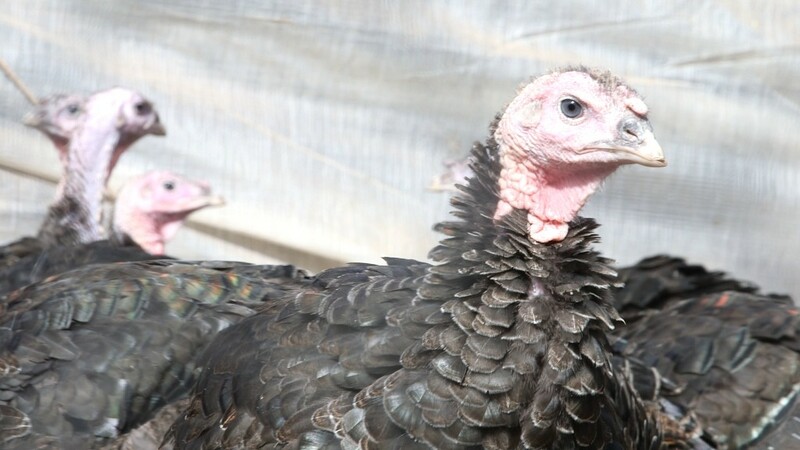 Small family farms are raising turkeys that look more like the birds of yore. Koch's Turkey Farm in rural Pennsylvania raises a breed of turkey called the Heirloom Bronze -- named for its 100-year-old DNA strain. The birds have much more in common with wild turkeys than the factory variety. The family farm where they're raised is organic, free-range and the first turkey farm in America to be certified humane. And though that might sound great, it unfortunately isn't that profitable -- and Thanksgiving can make or break the farm's bottom line. "We live or die by the holiday," said Duane Koch, who took over the farm operations after his dad retired. "The last two years our profits were meaningless." Last year, his profit margin was a mere 0.5%. Koch's farm began offering organic, free-range birds a couple decades ago as a way to stay competitive. It was Koch's idea to change the business, even though his father thought it would be a fast way to bankruptcy. Instead, Whole Foods Market (WFM) signed on as a buyer 22 years ago, and the high-end grocery chain now accounts for 40% of Koch's business. The operation has also expanded -- 20 years ago the farm was selling about 150,000 turkeys a year. Now it's closer to 800,000. That's a lot of turkeys to feed, and since the farm is certified organic (and soon to be GMO-free), feed can't come from just anywhere. The turkeys eat a diet of corn and soybeans, at a cost of half a million dollars a week. Every year, Whole Foods audits the Koch's farm to make sure all regulations are being adhered to. It covers everything from ensuring the turkeys are free range to making sure the diets are vegetarian. 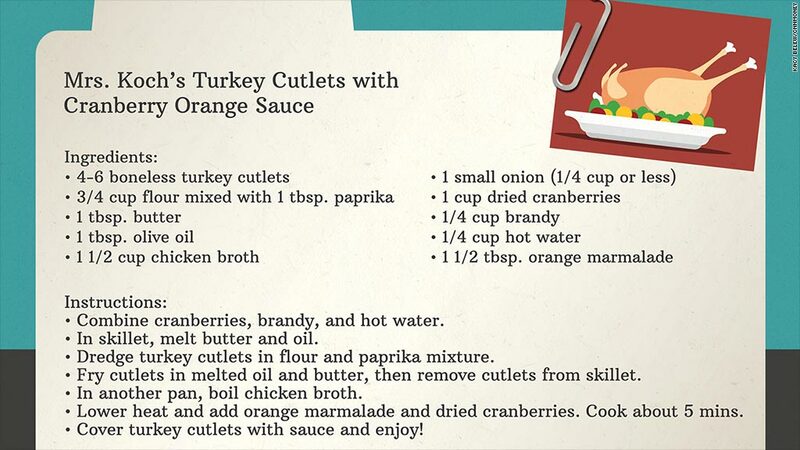 About 46 million turkeys were eaten on Thanksgiving in 2013, according to the National Turkey Federation. Theo Weening, the global meat buyer for Whole Foods, says that it's becoming increasingly important to customers that they feel good about what they're eating when they sit down at the table. "They want to know where it came from, who grew it and how it was grown," he said. Whole Foods places orders for Thanksgiving turkeys in February, which gives Koch some security. But there's also risk that the farm can't keep up. "Every year it scares me to death because I might be short this size or that size and I'll have to figure out how to survive," Koch said. The full force of the holiday could be felt on a visit to the Koch farm in mid November. Trucks were being filled with wrapped turkeys, a temporary tent in the front of the farm had a small retail operation going on, and a kitchen at the back of the office was turning out a roast turkey just out of the oven. Several generations of the family, many of whom work at the farm, swarmed around it. Koch grabbed a piece and popped it in his mouth as he walked by.